Twisted Tea is real tea blended with smooth, triple-filtered alcohol, resulting in an authentic Southern-style iced tea taste. The perfectly balanced blend of alcohol and tea create a refreshing, smooth beverage that’s just a little twisted. 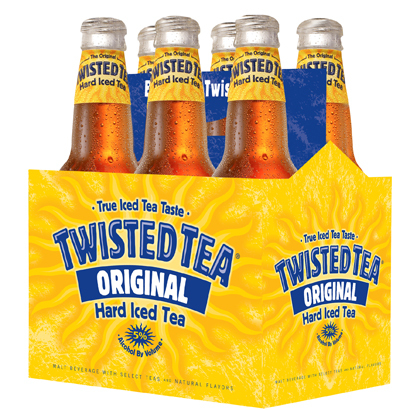 Created in 2001, Twisted Tea beverages are the perfect drink for any occasion, from a day at the beach to backyard barbecues and features an assortment of flavors, including bourbon barrel, lemon strawberry, lemonade, mango, orange citrus, tropical and watermelon. Brewed by: Twisted Tea Brewing Co.
Visit the Twisted Tea website.